It is only natural that a parent would want the best for their children. 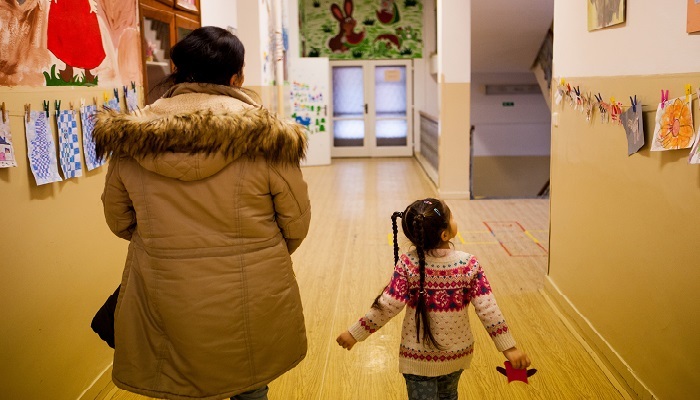 But for Roma parents in Hungary, providing their sons and daughters with the best education is a still a struggle. Roma are the largest ethnic minority in Hungary: 750,000 in a country of 9.8 million. Yet, in 2015, only 19 percent of Roma completed secondary education compared to 69 percent of the total population. Currently, 30 percent of Roma are unemployed in Hungary while the total national unemployment rate is 7 percent. One of the underlying problems may be the segregation of Roma children from a very young age. Most of them have no chance to study anywhere but in segregated schools. Many of these institutions are operated by churches in the name of “loving integration” as they have the right to select pupils according to race and ethnicity by law. The practice, however, has long-term consequences, and it has met resistance from not only parents but from international organizations as well. 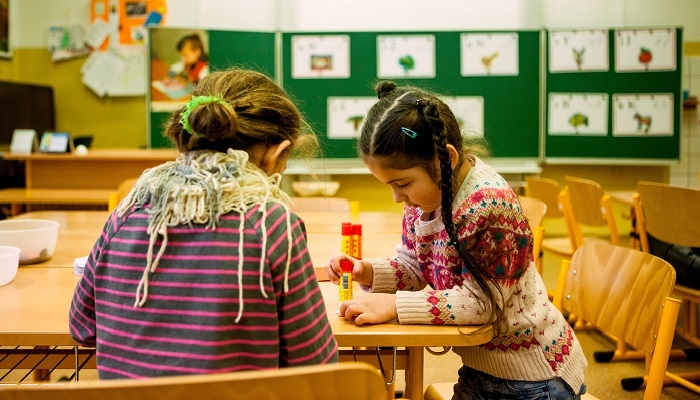 Two months ago, the European Commission launched an infringement proceeding against Hungary over the placement of Roma children in segregated schools. Highlighting the problem, Open Society Foundations and the Roma Education Fund organized a discussion in Budapest, where Roma civil society representatives, legal and educational experts, and Roma parents spoke about the reality of school segregation in Hungary. László Glonczi, a Roma parent from Nyíregyháza, knows all too well what segregation means for children in his community. The father was the first to take his daughter to an integrated school from a segregated institute operated by the Greek Orthodox church in the city in eastern Hungary. “We felt the quality and infrastructure of the school was not good. She had the best possible marks in the segregated school: 5s (the Hungarian equivalent of an A+). Her grades fell to 2 when she moved to an integrated school. The level of education between these schools is not the same, the grades reflect this. She had to catch up tremendously. It was difficult to adjust as she was not well received in the new school. Her marks are now back up to 5s,” he said. Glonczi has since become a volunteer at Hope for Disadvantaged Children Foundation (Esélyt a Hátrányos Helyzetű Gyerekeknek Alapítvány). Together with other parents, his aim is to close segregated schools in the city for good. Yet his efforts often meet resistance from integrated schools in the neighborhood which do not want to accept Roma children. Szilvia Erősné Balogh, another parent from Nyíregyháza, has a son who is 17 and attends an integrated school. There, the resistance of non-Roma parents was so huge that the mayor had to ask them not to take their children away. Still, around 80 percent decided to do so. Currently, there are about 400 segregated schools in Hungary. Their numbers have been rising steadily since 2010. According to Gábor Daróczi, chairman of Romaversitas Foundation, church schools play a large part in segregation. He also thinks Fidesz and Jobbik local governments are pressuring Roma families to send their children to these schools. The chairman spoke about the case of Csobánka, a village outside Budapest where a state-funded segregated school was closed not long ago. Non-Roma parents immediately began to collect signatures against Roma children coming to their schools. Rumor is spreading that Roma children will be taken to another segregated school. Experts warn that school segregation has long-lasting effects on Roma children. Those who attend segregated schools have shorter careers, lower chances on the job market and even lower political participation. In the past years, different Hungarian courts have ruled at least ten times against unlawful segregation of Roma children. Not long ago, even the commissioner for fundamental human rights condemned the practice, and the US ambassador to Hungary in her speech on Roma Genocide Remembrance Day on August 2 referred to school segregation of Roma twice, saying it denied Roma children a future that could be better. The practice, however, still exists and most experts say it will continue until members of both communities learn that without integration, Roma children will be denied a better future.